Why See Bianca Del Rio? Not today satan! She's got bills to pay, she's got dogs to put through college, so bow down to the majesty of America's funniest Drag Superstar! Bianca Del Rio is back on tour, where the Queen of the blithe put-down will be taking her unique, dismembering wit across the country. 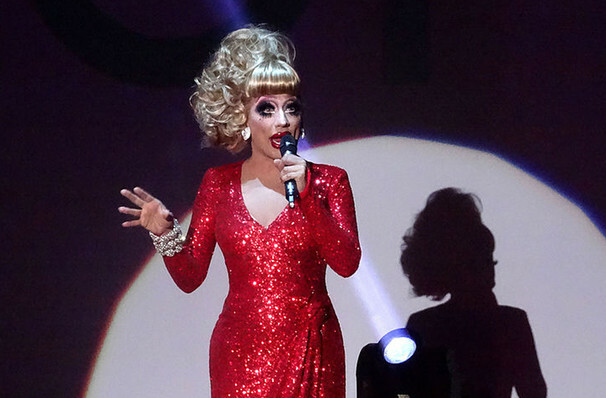 Known worldwide to audiences as the season six winner of Logo TV's runaway hit RuPaul's Drag Race, Bianca, otherwise known as Roy Haylock, won over the public with her mix of controversial comedy, excellent costume skills and kindness, and has since gone on to tour internationally with an ever growing following and star in the hilarious movie Hurricane Bianca. Previous to television stardom, Bianca was a cult figure on the New Orleans and New York City club scenes where she honed her act. Seen Bianca Del Rio? Loved it? Hated it? Sound good to you? Share this page on social media and let your friends know about Bianca Del Rio at The Theatre at Ace. Please note: The term The Theatre at Ace and/or Bianca Del Rio as well as all associated graphics, logos, and/or other trademarks, tradenames or copyrights are the property of the The Theatre at Ace and/or Bianca Del Rio and are used herein for factual descriptive purposes only. We are in no way associated with or authorized by the The Theatre at Ace and/or Bianca Del Rio and neither that entity nor any of its affiliates have licensed or endorsed us to sell tickets, goods and or services in conjunction with their events.